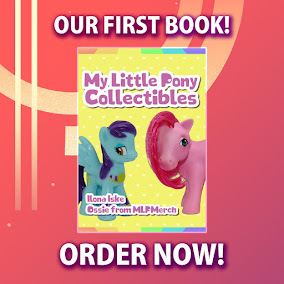 Here on this page you'll find an overview of all My Little Pony Friends Forever Paperback Issue νm; 6 Comic Covers, with a total of 1 release. You can click on the Friends Forever Paperback Issue νm; 6 Comic Covers images to zoom in or click on any of the links under the images to see more releases of that type. Summary: Friends Forever contains four tales of friendship and fun! A strange flu descends over Ponyville and Spike and Zecora must work together to find a cure. Princess Celestia enlists Pinkie Pie's help in making a cake for Luna's birthday. Applejack and Fluttershy go camping. And, Rarity travels to Griffinstone to make the perfect uniforms for Gilda the Griffin's new sports team. Collects issues #21-24.